On October 17, 2013 at 10:17 a.m. (local time), individuals, families, schools, businesses, nonprofits, governments, organizations and groups across the North America and around the world will participate in the Great ShakeOut earthquake drill. The ShakeOut is an opportunity to practice how to protect ourselves during earthquakes. Federal, state, and local emergency management experts and other official preparedness organizations all agree that “Drop, Cover, and Hold On” is the appropriate action to reduce injury and death during earthquakes. ShakeOut also has been organized to encourage everyone to update emergency plans and supplies, and to secure your space in order to prevent damage and injuries. Register at www.ShakeOut.org/register to be counted as participating, get email updates, and more. Download a Drill Broadcast recording from www.ShakeOut.org/drill/broadcast . Have a “Drop, Cover, and Hold On” drill at 10:17 a.m. on October 17. You can also practice other aspects of your emergency plan. Discuss what you learned and make improvements. Do a “hazard hunt” for items that might fall during earthquakes and secure them. Create a personal or family disaster plan. Organize or refresh your emergency supply kits. Identify and correct any issues in your home’s structure. Other actions are at www.earthquakecountry.org. Have a neighborhood party to discuss preparedness, and register for the ShakeOut. Invite friends and family members to register. Encourage your community, employer, or other groups you are involved with to participate. What is Drop, Cover, Hold On? According to the Southern California Earthquake Center, the greatest danger is from falling and flying objects. Studies of injuries and deaths caused by earthquakes over the last several decades show that you are much more likely to be injured by falling or flying objects (TVs, lamps, glass, bookcases, etc.) than to die in a collapsed building. “Drop, Cover, and Hold On” will protect you from most of these injuries. DO NOT believe the so-called “triangle of life”! In recent years, an e-mail has circulated which has recommends potentially life threatening actions , and the source has been discredited by leading experts. Visit Earthquake Country Alliance to find statements, articles and other materials refuting this theory. Also check out our Earthquakes 101 post describing some basic science about quakes and things you can do to prepare for them. Although 2012 quake activity has been about average according to USGS many people continue to wonder how and why earthquakes happen and if there is an increase in the number of quakes lately. First let’s look at some numbers. 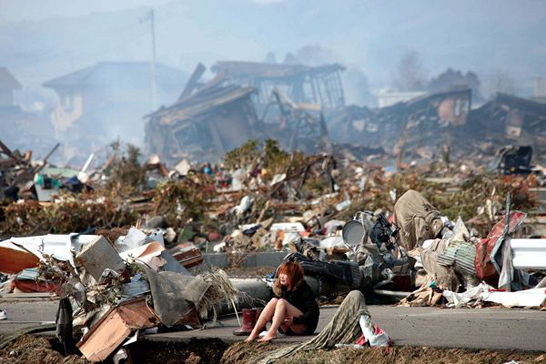 The U.S. Geological Survey estimates over 3 million earthquakes occur globally each year. 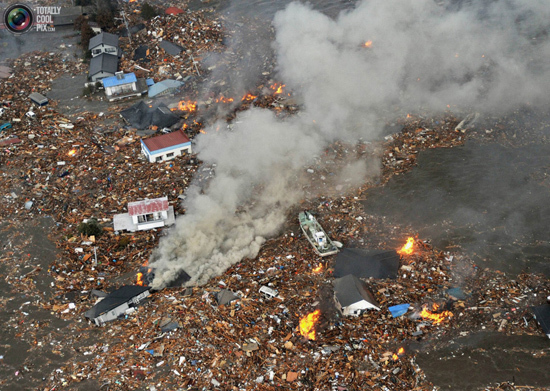 That’s about 8,000 seismic events every day or 1 every 11 seconds, but most of them are very small. And with the 10 to 20-fold increase of seismograph stations operating around the world (from 350 in 1931 to 4,000 or 8,000 [reports vary]) combined with the Internet and 24-hour news sources, the numbers are up due to more accurate data and reporting methods. But if you analyze global earthquake records over the past century (which is a tiny sliver in time compared to our planet’s history), the averages of large events (6.0 and higher) are fairly constant especially during the past three decades. Also … let’s look at a few statistics about Japan. 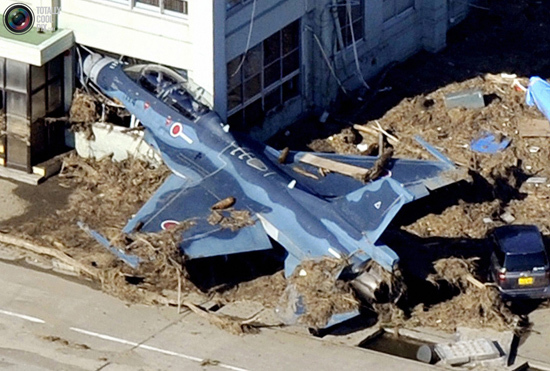 …Japan is one of the world’s most earthquake-prone countries, with a tremor occurring at least every FIVE minutes?! 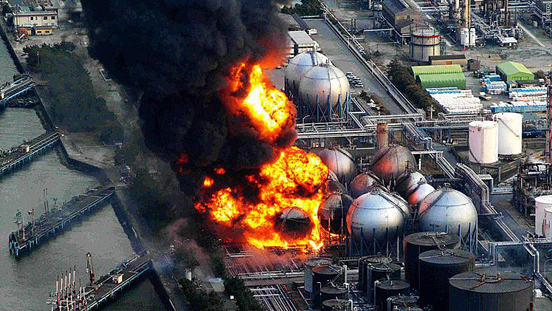 …Japan accounts for about 20 percent of the world’s earthquakes of magnitude 6.0 or greater?! …Tokyo, with a population of 12 million, sits on the junction of four tectonic plates: the Eurasian, North American, Philippine and Pacific?! The sudden bending or breaking of any plate can trigger an earthquake. So … how and why do earthquakes happen? There are many factors involved but one key reason is our planet’s surface is made up of slowly-moving sections called tectonic plates that can build up friction or stress in the crust as they creep around. The fastest plate races along at 6 inches (15 cm) per year while the slowest plates crawl at less than 1 inch (2.5 cm) per year according to USGS. These plates slide over the lubricating athenosphere layer of the lithosphere (the surface layer of our planet) and have been crawling around the planet for billions of years. The plates have edges called the plate boundaries that are made up of many faults (cracks or fractures in the crust). Since the edges of the plates are rough, they can get stuck while the rest of the plate keeps moving. When the force finally unsticks, all that stored up energy is released and radiates outward from the fault in all directions in the form of seismic waves like ripples on a pond. Sometimes part of the crust dives (or subducts) under another plate sinking into the earth’s mantle and these areas are often busy with volcanic activity and earthquakes. In fact, nine out of the ten largest quakes to occur in the last 100 years were subduction zone events. There are three basic fault types: the normal fault, where one block of rock drops down relative to the other; the strike-slip fault, where the fault blocks slide horizontally past each other; and the reverse fault, where one fault block moves upward relative to the other. An example of a strike-slip fault system is the San Andreas Fault in California. The San Andreas fault is NOT a single, continuous fault, but rather is actually a fault zone made up of many segments. The fault system is more than 800 miles (1300 km) long, and in some spots is as much 10 miles as (16 km) deep. Also .. since the plates are moving horizontally past one another, California will not fall into the ocean … but … someday Los Angeles and San Francisco will be adjacent to one another! Canada’s Queen Charlotte fault in B.C. was the site of the country’s largest historical earthquake with a magnitude 8.1 in 1949. The most seismically active areas in Canada are Yukon Territory and northwest British Columbia but historically all Provinces have had tremblers as seen here. The Cascadia Subduction Zone is a very long sloping fault that stretches from mid-Vancouver Island to Northern California and could produce a very large earthquake, magnitude 9.0 or greater. 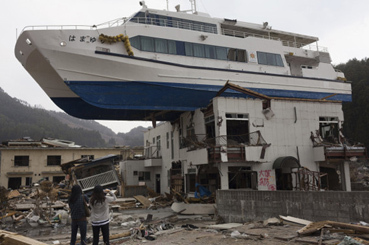 The last known great earthquake there was in 1700 and geological evidence indicates that great earthquakes may have occurred at least seven times in the last 3,500 years or about every 400 to 600 years. The New Madrid Seismic Zone (extending from northeast Arkansas, through southeast Missouri, western Tennessee, western Kentucky to southern Illinois) has repeatedly produced major earthquakes, including several magnitude 7 and 8 quakes, over the past 4,500 years. The last major occurrence there was the 1811-12 earthquake sequence (mag 7s and 8) that struck Arkansas and Missouri with such intensity it temporarily reversed the Mississippi River flow, created a new lake and caused massive landslides and damage across multiple states. 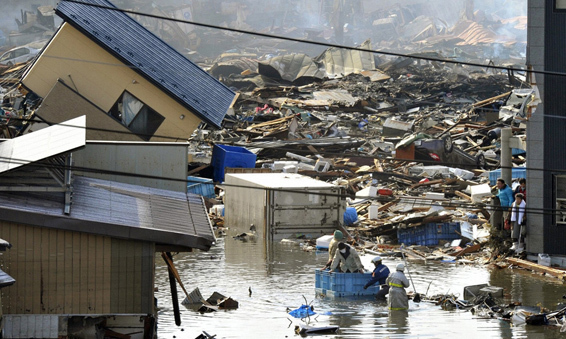 Most destruction from earthquakes is caused by the seismic waves (ground motion) and soil liquefaction (where soil behaves like a liquid). There are two major types of seismic waves — body waves and surface waves. Body waves (pressure or primary or P waves and shear or secondary or S waves) are short, sharp motions moving at high speeds that move with an up-and-down [P] and side-to-side [S] motion. 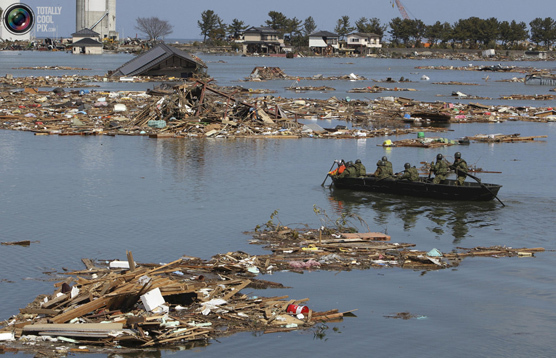 Surface waves (Rayleigh and Love waves) travel along the surface causing the most destruction. Rayleigh waves are similar to ocean waves; whereas Love waves displace earth in a snake-like motion. 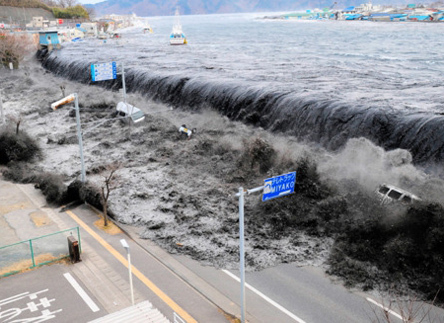 Both types of surface waves can demolish buildings and trigger landslides and avalanches far from the epicenter. We don’t need to worry or panic, but something we CAN do is learn about different types of risks and disasters and how to mitigate or reduce the damage to yourself, your loved ones and your property. Knowledge is power and the more we learn and prepare for the unexpected, the better off we’ll be as a society. A way to get started is to download some safety tips from our IT’S A DISASTER! book, and read through some of the resources below for more information. You are currently browsing the archives for the earthquake category.